Turkish Prime Minister Recep Tayyip Erdogan declared late last week that Twitter would be completely banned for the country’s internet users. 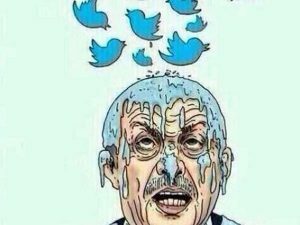 Although Turkey’s political administration has done its best to silence the criticism found on Twitter, the microblogging site is still going strong with many Turkish users. Last week, recorded conversations featuring prominent Turkish political figures began circulating on Twitter, alleging that several high-ranking politicians (and Prime Minister Erdogan himself) were involved with serious corruption. In an attempt to silence the outcry, the Turkish government pledged to ban Twitter’s spread of “misinformation”. Luckily for Turkish internet users, several savvy locals found their way around the ban relatively quickly and continued to use the service as usual. While the ban was meant to stifle unrest spreading through Turkey via the internet, the plan backfired as the international community responded unfavorably. Turkey is by no means the first country to attempt to wipe the internet clean of Twitter’s particular brand of dissent, but so far that has only spurred the site’s users onwards.